If you have been reading my blog for a while now, you know that I am a huge fan of peanut butter, and really all nut butters in general. Some people don't bake with peanut butter that much because of the natural fat that is in the butter. But I love to use peanut butter and almond butter as a second source of fat and when you use nut butter you can reduce the amount of actual butter that is in the cookie. Peanut butter is a great source of healthy fat that adds a great flavor and texture to any bread, cookie or cookie bar! After being back home at my parents house, I knew they were waiting for some yummy treats. As a fun surprise, I decided to whip up some of their favorite cookies, peanut butter. But instead of the classic recipe seen here last, I felt like we should do a little change up to their favorite recipe! 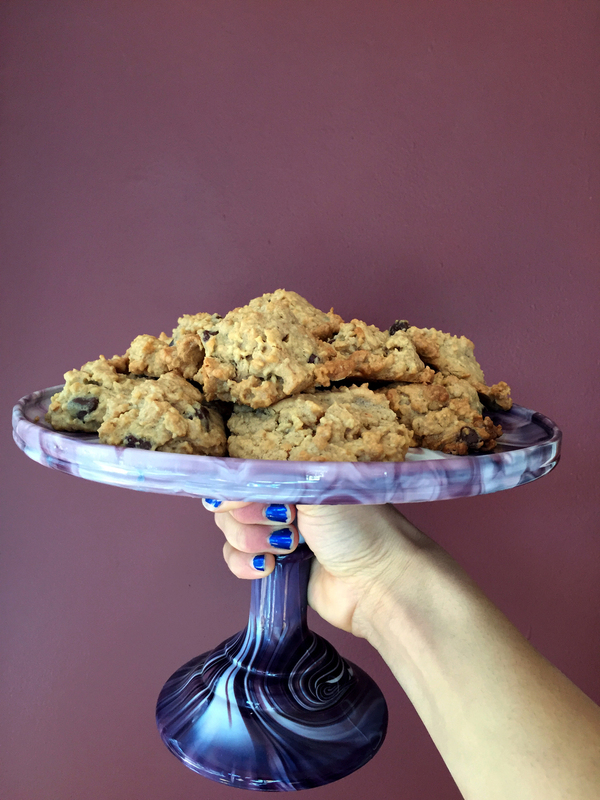 Using a rubber spatula, or the lowest setting on your mixer with the paddle attachment (the whisk attachment crushes the tasty chocolate and peanut butter chips), pour in the chips and stir until evenly distributed! 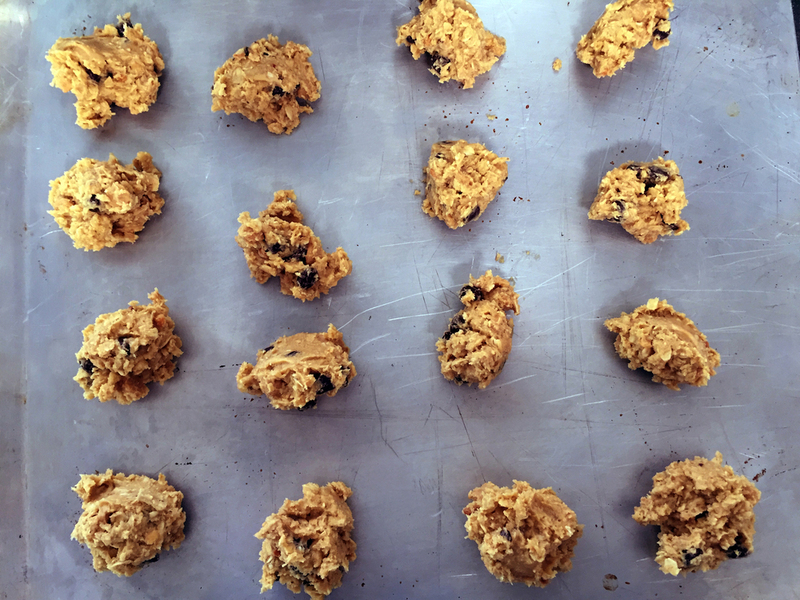 Using an ice cream scoop or two spoons scoop out balls of dough and place on your un-greased cookie sheets 1/2'' apart. Bake for 12-14 minutes in the oven until lightly golden brown on the edges and top! Wait for at least 1 minute to devour!